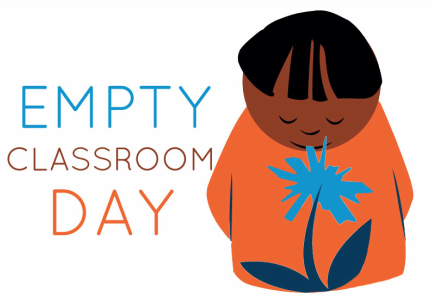 The Empty Classroom Day was created in 2012 in London by Anna Portch with the support of teachers and educators at London Sustainable Schools Forum to encourage schools to learn outside and to celebrate all the great environmental education happening in London. Then the Project Dirt - the green social network - played a leading role promoting the day. The idea is simple - schools sign up to say that one class will spend one lesson outdoors on the day, however many schools do a lot more! In 2015 The Centre of Environmental Activities „Źródła”, the non-profit organisation from Poland, wrote about the Empty Classroom Day in their eco-calendar, gaining great interest of teachers and pupils. Polish schools wanted to spend lessons outdoors, too! In 2016 four organisation from Poland, Hungary, Czech Republic and Slovakia decided to organize the Empty Classroom Day in their countries. Their common project assumes organizing seminars for teachers and publishing educational materials. This is an extension to the project “Into the wild” run in Poland since 2014. This year 987 schools from all over Poland took part in the action on June, 17th (please see the map) and alltogether more then 1100 schools in all V4 countries. This project is a non-profit, grassroots initiative and has nothing in common with the similarly named commercial campaign of one of the producers of washing powder.